FIRST HAND EXPERIENCES – to enhance their learning through educational visits or visitors / workshops in school. KNOWLEDGE – learning the key information and facts needed to access the whole curriculum, creating building blocks of understanding which they can use as a foundation for being lifelong learners. PERSONAL ATTITUDES AND ATTRIBUTES– being able to use the knowledge and skills learned when working individually and with others. At Loddon we believe that it is important to make the curriculum as stimulating and interesting as possible. We ensure that the knowledge required by the National Curriculum is central to our teaching and learning, and we also carefully consider the skills that we are intending the children to develop as well as the content. We want our children to become active and avid learners, with the knowledge, skills and attitudes to succeed in whichever educational direction they choose, throughout their lives. We place great value on opportunities which enhance and deepen learning. Wherever possible we incorporate visits outside of the classroom to act as a catalyst for this purpose. We also try to identify visitors to come into school and enrich the children’s work. 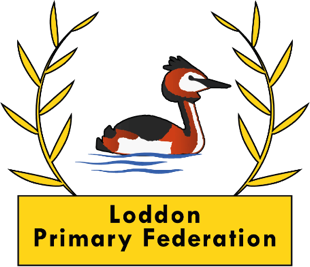 The Friends of Loddon Primary Federation (FLPF) supports this work by providing funds to subsidise the costs of visits and visitors, so that we are able to be creative and adventurous. We ask all parents to support the FLPF in whatever way you can, so that we are able to continue to enjoy this fantastic support. We continually assess the impact of our curriculum through talking with pupils, marking, and assessments. This then informs the next steps for the child’s education. We follow the Letters and Sounds Phonics Scheme while children are learning their phonics. This scheme is supplemented with the ‘Jolly Phonics’ actions to support the children in remembering the phonics. LKS2 – Name that Living Thing!